Dorothy Richardson is living the typical life of a working girl in the 19th century. Living in a boardinghouse, she spends her days working for a dentist and her nights conversing with her fellow boarders. It is a peaceful, if not dull life. She does have a chance at excitement, however. One of her childhood friends invites her to spend the weekend with her and her new husband. He is a writer who is just coming into his own—H.G. Wells. Dorothy is enchanted with the lifestyle that she sees in the couple. While her friend seems to be fading into the background as the wife of a volatile man, Bertie (as H.G. Wells is known) captivates Dorothy with his tales of the writer’s life and his appetite for passion. Dorothy falls under Bertie’s influence and, against her better judgment, begins a relationship with him. Unfortunately, this relationship is built not on love—but on betrayal, misplaced passion (Bertie is a bit of a philanderer). Dorothy becomes pregnant and turns down the respectability of a marriage with a fellow boarder. She also starts a love affair with another boarder, a woman named Veronica. A passionate advocate for women’s suffrage, Veronica gives Dorothy the love that she cannot get from Bertie. When Veronica is thrown in jail, Dorothy decides to more fully pursue her desire to write and express herself through her own creative gifts. Based on the real life of H.G. Wells and Dorothy Richardson, The Lodger by Louisa Treger, seeks to portray the relationship between the two, the elusiveness of the gift of writing, and the atmosphere of the suffrage movement. She succeeds in some ways and not in others. 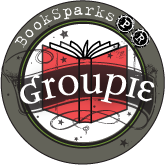 None of these characters are particularly likeable, and the book suffers from a lack of focus (is it about H.G. Wells….or suffrage….or lesbians….or the plight of women…?) Though I found the characters to be well written, I did not fully connect with any of them. The most compelling part of the book is the information about the suffrage movement. I had no idea that it was so violent and so demeaning to the women who sought a voice in the government. I wish that this part of the book had been longer and more drawn out, as I found it to be the most compelling. 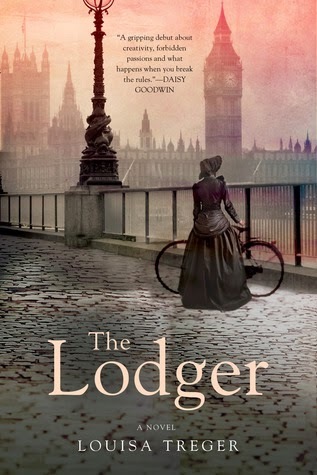 The Lodger was an easy read and one that can teach you a few things about an interesting period in history.